Anybody played this? I got it on Steam in December and hadn't gotten around to playing it until now. What a great game. The rewind feature reminds me of the Portal 2 mod, Thinking with Time Machine. Short synopsis, you're an 18 old girl studying photography at an elite school when you discover you have the power to rewind time. It's also a little like Until Dawn in that every decision you make affects future events. It's an episodic game like The Walking Dead but all 5 episodes are available right now. I'm not sure if my ending to Episode 3 is the only possible outcome but damn that was a mind ****. Completely involving story, even if some of the puzzles distract from this sometimes. Would definitely recommend this if you like any of the Telltale games series. The Life is Strange prequel is out, at least Episode 1. I was a little worried that with a different developer they might lose the tone of the the original. Guess I shouldn't have worried. Last edited by Funk Butter; 08-09-2017 at 03:54 PM. I started this, and it seemed a very slow burner. I'll give it another go. Is before the storm any good? 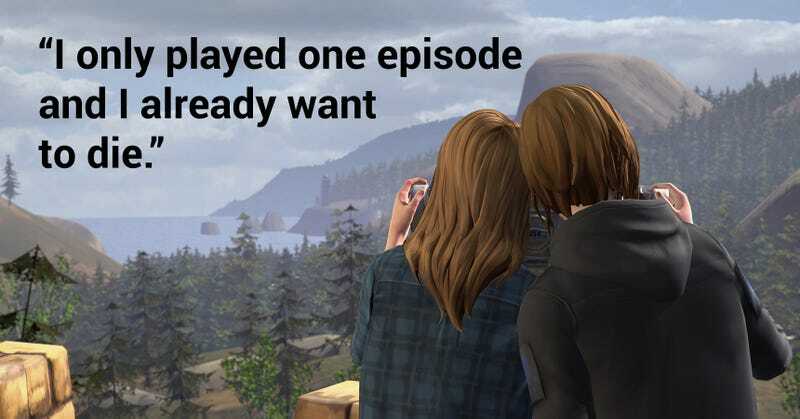 I loved all life is strange episodes (except for episode 5). I thought so. No science fiction in this one, and bit weird playing out the story of Chloe & Rachel when you know what's going to happen to them. In fact, I liked it so much I replayed Life is Strange again. I don't think I've ever replayed a story based game before.